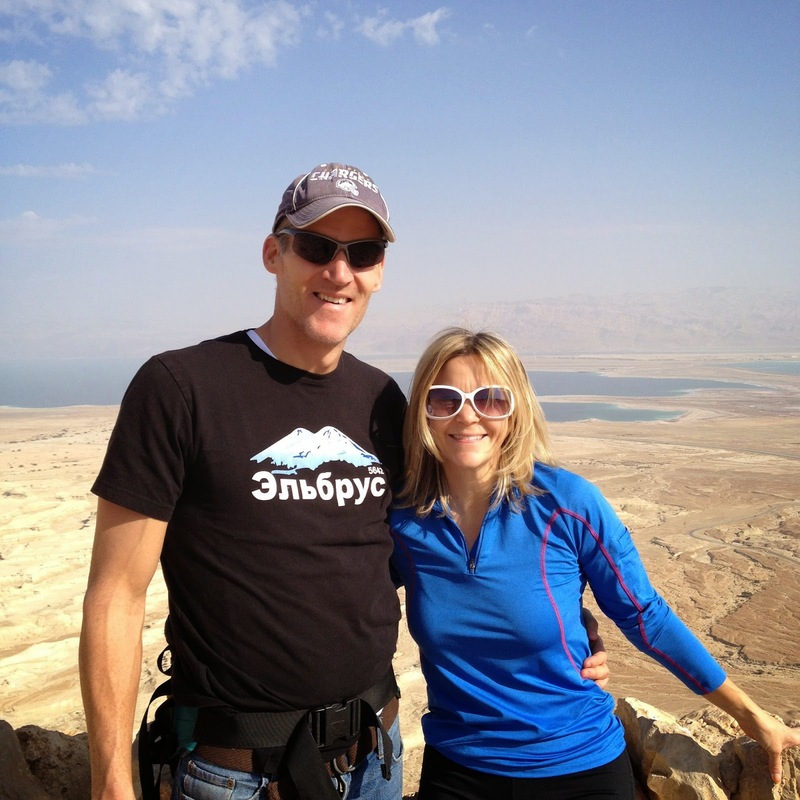 We headed out of Jerusalem towards the Dead Sea to spend the day at Masada. As we descended below sea level our ears began to pop and vegetation became scarce. 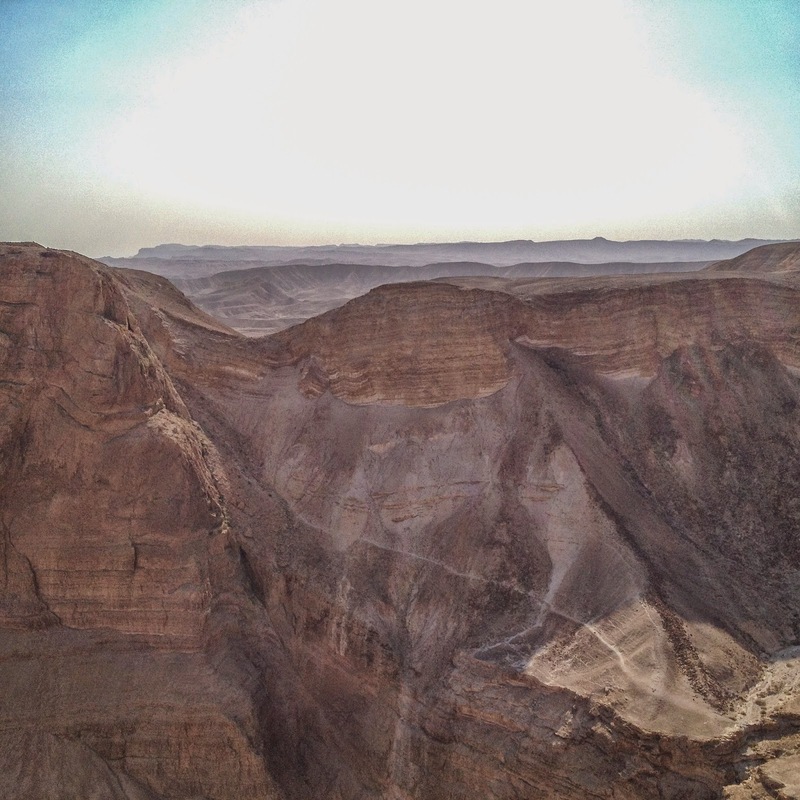 It is no surprise they call this area the Dead Sea because it is DESOLATE! We discussed with the girls the irony of how water is the life giving source in the desert and yet the Dead Sea is completely useless as drinking water. I wonder how disappointed the first nomads were when they came to this realization. 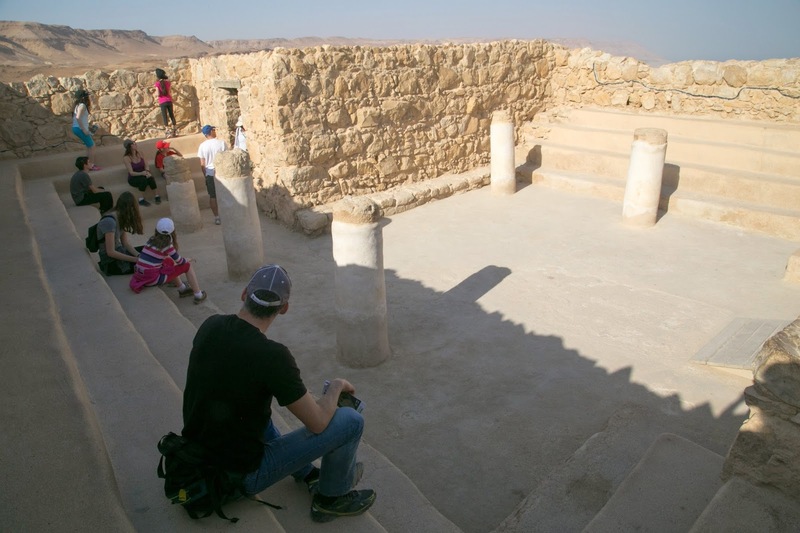 Masada is a very easy drive from Jerusalem, as a matter of fact, if you begin your day early you can hit several sites in the area including Qumran and Jericho. We felt safe driving the lone highway out to the area and there are snack shops and restaurants at each tourist site. 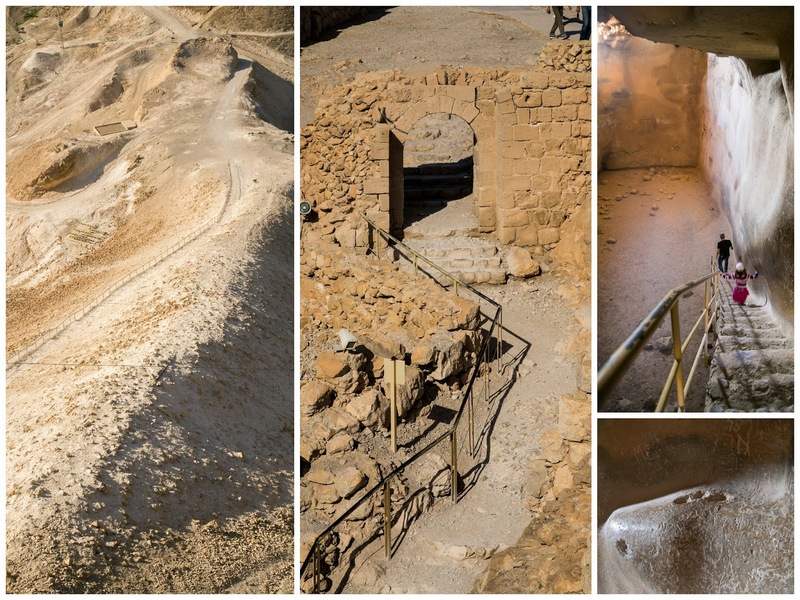 Masada was originally built as a splendid fortress retreat for King Harod complete with baths and grand mosaic floors, but it became the dramatic desert hideout for a group of renegade Jews rebelling against the Romans around 73 AD. The dramatic story goes something like this...around the time of second destruction of the temple in Jerusalem, a group of zealots responsible for the Jewish revolt retreated to the mountain top hideaway. They lived here for 3 years before the Roman's determined to stamp out this last group of rebels once and for all. During the siege that lasted 3 months it became clear to the Jews that the Roman's (having built an earthen ramp to breach the western wall) would win. Rather than be taken as slaves they determined they would rather die. Here are the words from Elazar ben Yair, the leader of the zealots. "Since we long ago resolved never to be servants to the Romans, nor to any other than to God Himself, Who alone is the true and just Lord of mankind, the time is now come that obliges us to make that resolution true in practice ...We were the very first that revolted, and we are the last to fight against them; and I cannot but esteem it as a favor that God has granted us, that it is still in our power to die bravely, and in a state of freedom." And so setting fire to their belongings, food and supplies, so that the Roman's would have nothing to gain, they killed one another, almost 1000 men, women in children. 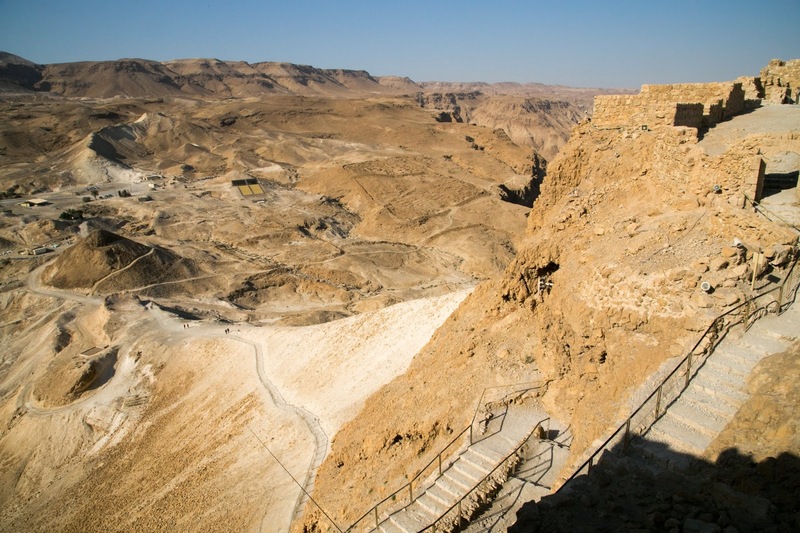 It is said that when the Romans discovered the silent smoldering devastation "instead of exulting as over enemies, they admired the nobility of their resolve..."
The story of Masada has become a source of pride for Jews today providing a sense of unity and a rallying cry for Zionists. Hours: 8-17:00, on Fridays and holiday eves, park closes one hour earlier. Access: A cable car will whisk you to the top of the mountain in about 3 minutes, OR you can hike the snake trail in about 45 minutes. Tip: There are loads of hiking opportunities in the area. If you have the time and inclination, this is a neat area for exploring. The park opens to hiking one hour before sunrise, so you can enjoy a lovely sunrise from the top of the fortress. 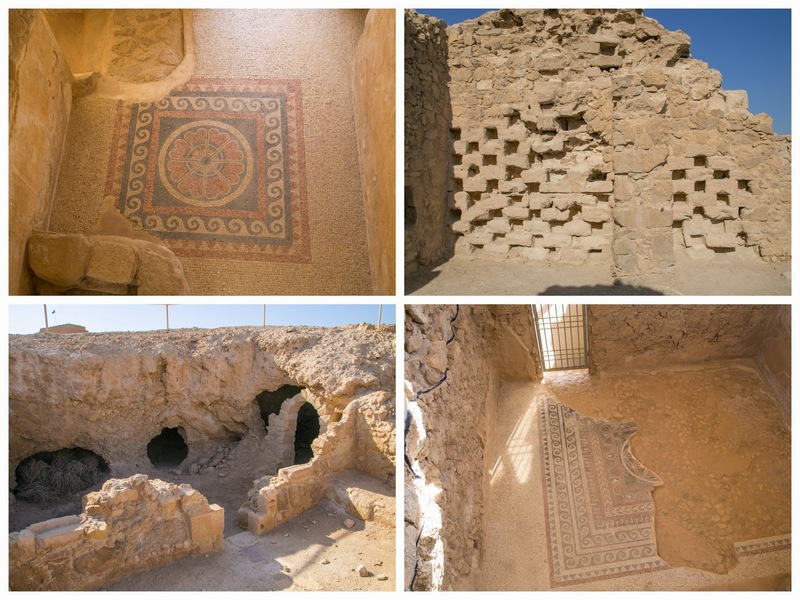 Top left & bottom right--mosaics from Herod's bath complex. Top right--dovecot. Doves were raised for their meat and fertilizer. Several hundred niches exist for the roosting birds. 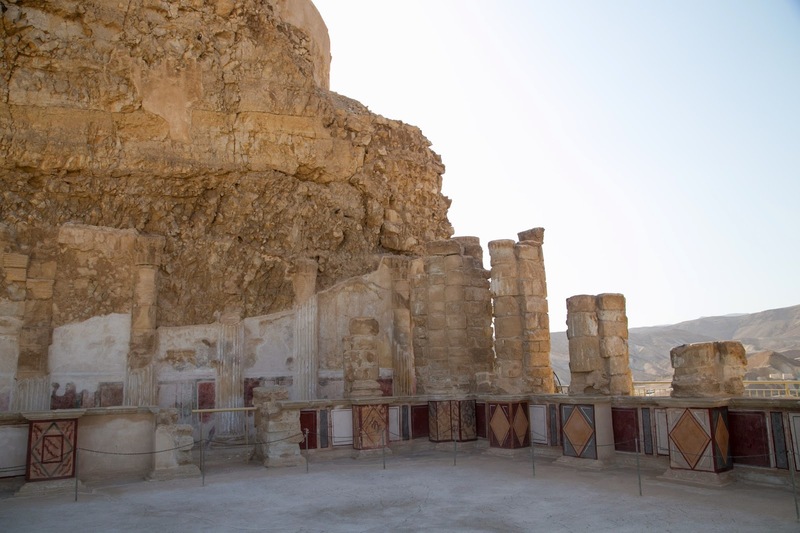 Three such towers existed on Masada. Bottom left--rock quarry. 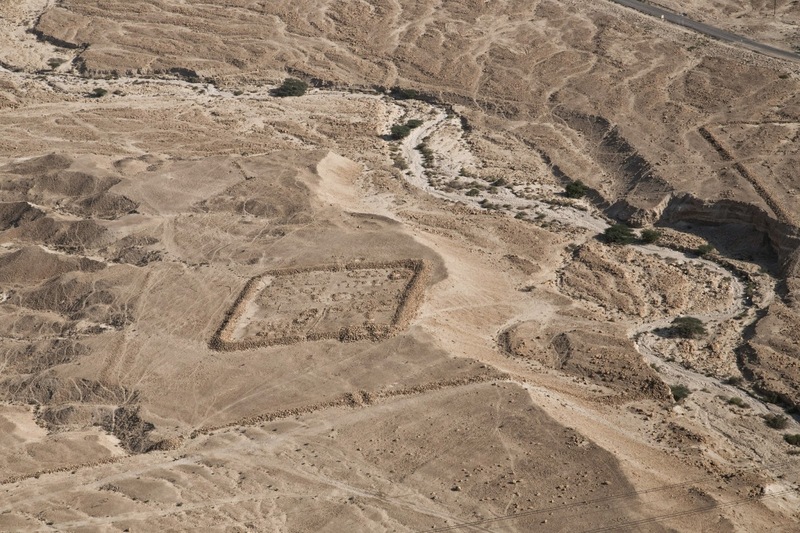 A once splendid banquet hall during Herod's reign. This room served as the synagogue during the revolt. 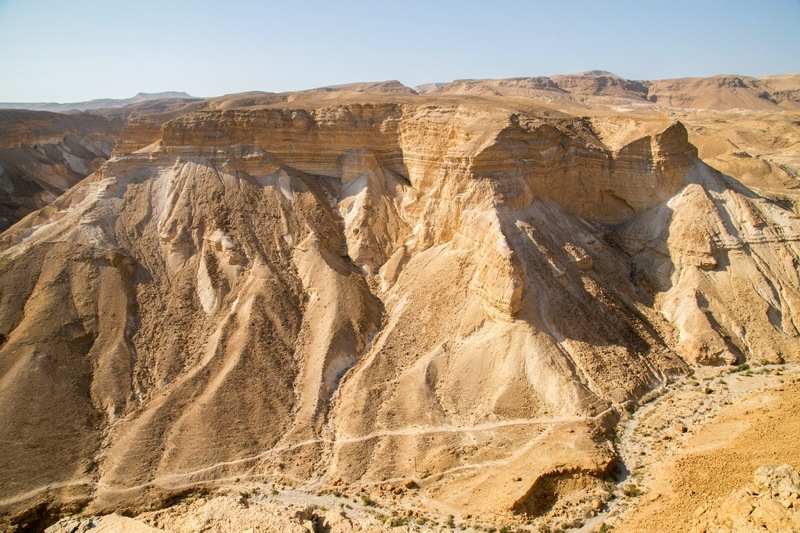 Biblical scroll fragments were found here including Ezekial's vision of the Valley of dry bones (Ez 37:1-14). When you take in the surrounding desert, it is hard to not feel a sense of wonder and respect for these Jewish rebels who decided to fight again the Goliath of Rome. Unfortunately, they met with a far different end than did David. Oh my goodness. I'm in awe. What a trip, adventure, experience this must have been! Thank you so much for sharing it with us. We had a really good time in many different ways. 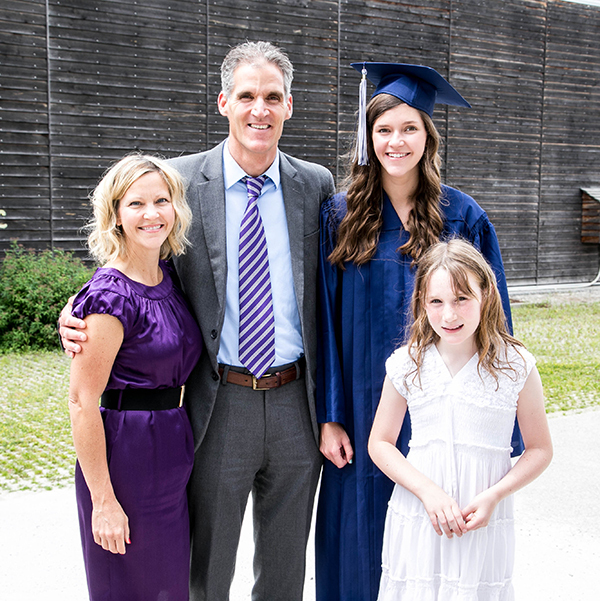 Super glad we made the journey despite my being a little nervous. Wow, so amazing to see this. Thanks for sharing all these pictures and explaining them. PS: Would it be ok to pin some of your pics here on Pinterest? What fascinating scenery and sites.